Valacyclovir, or Valacyclovirum (lat. 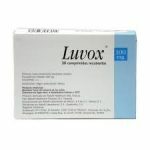 ), is use for the treatment of herpes virus infection. As it is impossible to cure the herpes agent completely, the medicine is intended to fight its symptoms as effectively as possible, particularly the manifestations in the form of bubbles and acne. In contrast to its predecessor Acyclovir, Valacyclovir is notable for its high bioavailability. Due to this, similar parameters of Acyclovir increase significantly (by 3 to 5 times). 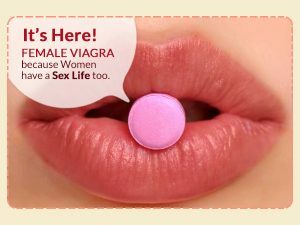 Thanks to its special chemical structure, even if you take Valacyclovir orally, its blood level is much higher as compared to Acyclovir. Due to the same chemical structure, Valacyclovir allows to supply the active substance intact tot the blood plasma. That’s why it enables such a high level of exposure. After that, the drug is metabolized, i.e., splits into two substances in the liver-Valin and Acyclovir. Acyclovir has the direct effect to fight off the virus and its manifestations. You can take the drug irrespective of the meal time. Antiviral drug. In living organisms under the influence of valacyclovirhydrolaza it turns into Acyclovir fast and completely. If you take Valtrex 1000 mg, you can be sure, that the bioavailability of Acyclovir will be approximately 54 % (irrespective of the time of medicine intake: before or after the meal). The highest concentrations of medicine in plasma can be observed in 30-100 minutes after the intake. The half-life of Acyclovir from the plasma (if the person has practically healthy kidneys) is about 3 hours; if you have a severe kidney failure, it can take about 14 hours. When comparing Valtrex with Acyclovir, it should be noted, that the concentration of Valtrex in blood is comparable only to the concentration of Acyclovir, administered intravenously. Which viruses can this medicine defeat? Valacyclovir in vitro, i.e., in a test tube, is active against Herpes simplex of both types, Varicella Zoster, Epstein-Barr virus, CMV and HHV-6. 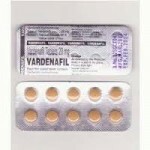 In 2009 the Indian Company Ranbaxy has started to sell generic Valtrex in the USA. Valacyclovir has replaced Acyclovir after the long period of its use in the treatment of Herpes Viruses. 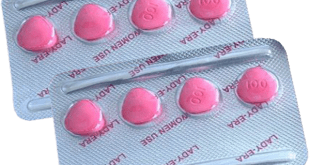 It is very important that Valacyclovir has kept the safety of Acyclovir. However, it is much popular due to its higher bioavailability. According to the experts, Valacyclovir is more comfortable for the treatment of HHV-3 (Varicella Zoster Virus), and for the prevention of CMV in AIDS patients with and in case of transplantation. So, Valacyclovir is more efficient than Acyclovir: only one pill of Valacyclovir, taken by the patient with genital herpes, will protect his/her partner from getting infected (by 80 %), even if you don’t use condoms. However, Valacyclovir can’t replace its ‘older relatives’. The main reason for this is its high toxicity for the blood cells, liver and kidneys by the oral intake. In the end, all the drugs, containing Acyclovir (and its analogs) act in the same way, if you strictly follow the instruction to each particular drug.